It can also be used to create perfectly cooked eggs and omelets! 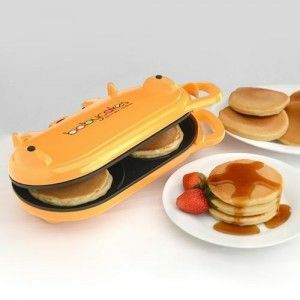 This pancake maker will definitely help you prepare breakfast or dinner more easily. Bright orange colour will give some life to your kitchen and when you try these perfect pancakes, you just won’t be able to stop eating them! You can buy it on Amazon or even in some bigger stores.